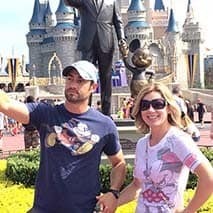 Lisa and Steve Griswold are past Walt Disney World Cast Members. 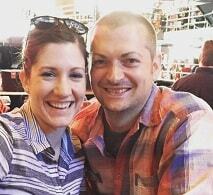 They both worked for the Walt Disney Company and have experience in Disney Parks and Resorts. 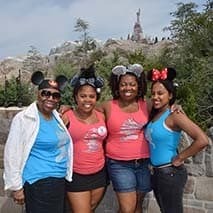 After leaving Disney they wanted to share their experience and vacation planning advice with others and Pixie Vacations was born. Here is the story behind Pixie Vacations. 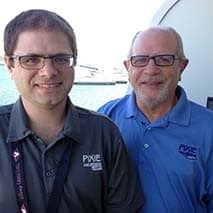 What does it cost to work with Pixie Vacations? Our services are FREE. There are no hidden fees, and we work with you to plan and book the perfect Disney vacation for you and your family. We both have worked for many years for the Walt Disney Company. 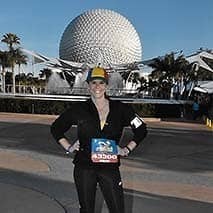 We know the Disney Parks and Resorts and have helped countless guests at the Walt Disney World parks and resorts over the years. When we moved away from Orlando we wanted to still help guests plan their Disney Vacations and share the magic with them. So we started Pixie Vacations. It would be an honor for me to help you with your Disney Vacation. I have been a Disney fan since I was young but fell in love with it more now that I am a parent. I love to experience the magic of Disney through my son’s eyes. The first time we took him still gives me goose bumps to remember his reaction when he met the characters. It truly was magical. The first time that I went to Disney World I was 5 months old. Disney World had just opened that month. I then went on to go to Disney World 30 plus times. 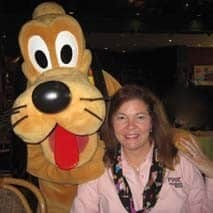 Growing up my parents owned a Travel Agency and I was fortunate enough to go Disney World pretty much every year for the first 18 years of my life. I completely fell in love with Disney. I then continued my trend throughout my adult life and always loved every experience each and every time. 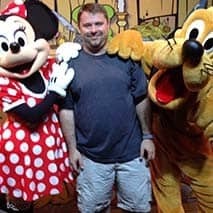 My husband and I have twin 8 year old girls who have been to Disney World 7 times in 8 years. I have definitely created a love for all things Disney for them as well. Hi! 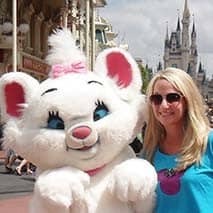 My name is Debbie Nebel and my friends call me “Disney Debbie.” Let me do all the work in planning your magical vacation – it’s free to you, and a lot of fun for me! I grew up in Southern California and spent the majority of my childhood at Disneyland. I loved every visit and have amazing memories of time with my parents and as I got older, my friends. I was also lucky enough to have parents who enjoyed cruising and I have experienced almost every major cruise line. Hi! My name is Kristin Zarchan! I live with my husband and three children: Breanna (14), Tyler (9) and Hayley (6) in Kansas. 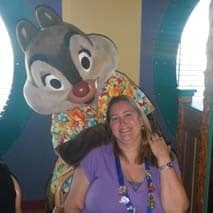 I love to share my love for all things Disney with you while I assist you in planning your trip. My first trip to Disney World was when I was a freshman in high school. It was love at first sight when I entered Epcot and experienced the World Showcase for the first time. At the time only Epcot and the Magic Kingdom existed. I have visited WDW with little ones, teens, and young adults – and they are all my kids – in the different stages of their lives. When we first began our annual trips, my children were 6, 9 and 14. Hello, my name is Ginger Henson and I want to be your Pixie! My husband, Chris and I have been married 20 years and have 3 children, Katie, Kristen, and Kevin . Having a family of 5, traveling can be tricky in a world set up for 4! I will work with any size group to make your experience the best it can be. Hi! 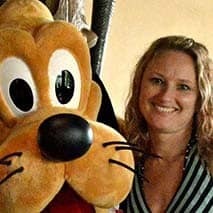 My name is Jennifer and I would love to help you plan your dream Disney vacation. I fell in love with everything about Disney a long time ago, and love to share those magical feelings with others. I’ve been to Disney World through many different life experiences. I went as a child with my parents, as a teenager with my entire extended family of 8 adults and 9 kids, and as an adult on my honeymoon. 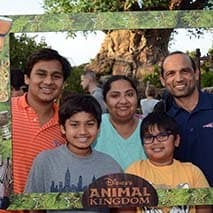 Most recently, my parents joined my family for our kids’ first trip to Disney World. All I hear from the 3 of them is “When can we go back?”. I have a love for travel, a love for Disney, a love for children, and a love for seeing others enjoy life. 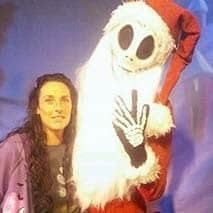 My husband and I first visited WDW in 2001 and we were immediately hooked. After that initial trip, we started planning our next trip and then our next. People would often ask us why we went to Disney when we didn’t have children. What they didn’t realize is there is so much for adults to do – dining, spas, shopping, and golf. 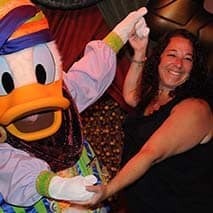 Hi, I’m Debbie Matullo and I have a love for all things Disney! I would rather be at Disney World or on a Disney Cruise ship with my family than anywhere else in the world. Since I can’t be there all the time, I would love to sprinkle pixie dust on your Disney vacation and help you plan the best trip ever! My goal is to give each client personalized service for a worry free and stress free experience from start to finish. Hiya! I’m Marybeth Rubinacci. Andrew and I have been happily married for 20 years and have two teen boys. I grew up in St. Petersburg, Florida and spent the early years of my married life in Orlando. I’m a wife to Chris and mom to two Disney Princesses Kaylie & Lauren. 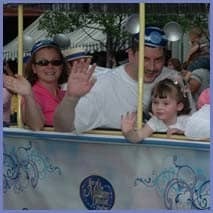 My love of all things Disney began when we took our oldest daughter on our first trip to Disney World in 2003. We have since visited the Mouse every year (sometimes multiple times per year), and every time we visit we find something new to love! We have stayed in many different hotels throughout the years, from Value to Deluxe Villas, and we have also sailed on the Disney Wonder. 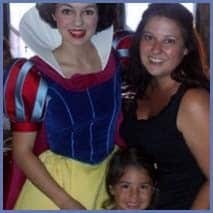 Living near Orlando as a child allowed me the opportunity to visit Walt Disney World and see it through a child’s eyes. Now, as an adult, I’ve been blessed to return to Disney many times with my own family. 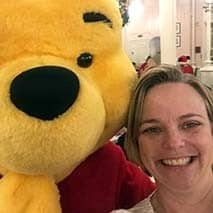 Each visit has allowed us to share the same wonderful Disney magic with our own children and extended family members-whether it was to Walt Disney World, Disneyland, Disneyland Paris, or on a Disney cruise. Hi there! My name is Kelly. I’m married with 5 kids ranging in age from 4 to 20. 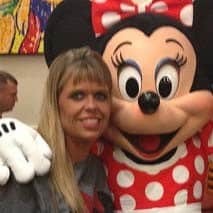 I’ve been an avid Disney girl since grade school and I’m proud to say, I’ve converted my husband and raised my kids to love the Mouse. Growing up Disney, I’ve been lucky enough to see the Walt Disney World Resort grow from one park to four and experience all of the stages in between. With over 30 trips under my belt, I’ve been able to try each Resort category from tent camping at Disney’s Fort Wilderness Resort to a two bedroom villa at Saratoga Spring’s Resort. you plan your Disney adventure! My passion for Disney started when, as a young child, my parents first took me to Disneyland. Living in California led to many weekend visits to “The Happiest Place on Earth”. Hi! My name is Jenni and I am a self proclaimed Disney addict. I am pretty sure that most of my friends and family members would wholeheartedly agree with me on this statememt. I have been married for 17 years to my Prince Charming (aka Chris). After a Disneymoon and five years of marriage, we welcomed Princess Alexa who will be a teenager soon! The most important things in my life are my Faith, my family, my friends, and my magical memories. We are so excited to be part of the Pixie Vacations team! 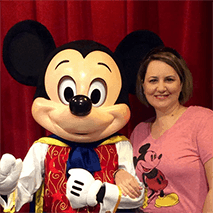 While each of us had spent family vacation time at Disney as children, it was our Honeymoon trip to the Walt Disney World Resort that reignited our love for all things Disney. 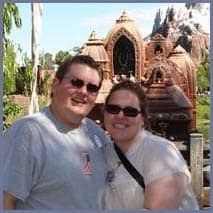 By the end of 2010, we will have stayed at 8 of the 21 Walt Disney World Resort Hotels, taken 2 cruises with Disney Cruise Line, and made plans for our first Disneyland trip and out first Alaskan Cruise both in 2011. Hi, my name is Kourtney. I am happily married to my husband Joe. We have three children, Kyler, Keagan, and Kameron (who are all crazy about Disney). 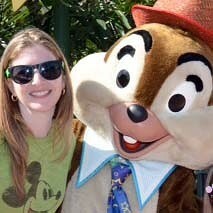 My love of Disney began when I was just a girl and has never faded; in fact, I would say it has gotten stronger. 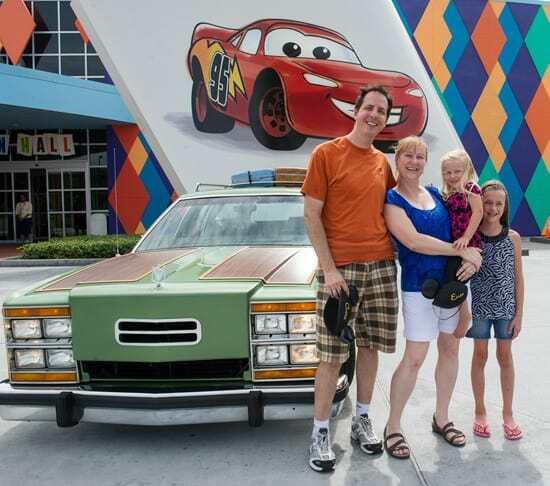 My family loves Disney vacations more than any other (well except maybe my husband…I am still working on that). We have been to Disney theme parks several times in both Orlando and Paris and certainly have developed many Disney family memories. I live in Indianapolis, IN. I have been married to my wonderful husband Greg for over 20 years. 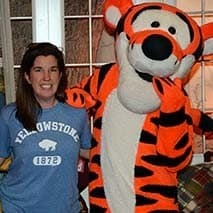 I have traveled to Walt Disney World well over a dozen times. I went numerous times as a child, but really gained an appreciation for the Disney Magic when we took our oldest son, Jonathan, for the first time in 1997. I’m a 34 year old wife and mother of three little girls. Although I grew up on Disney movies and music, I never went to Disney World as a child because my parents always assumed they couldn’t afford it. 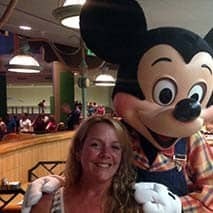 When I had children of my own, I almost fell into that same assumption, but after a magical experience at Disney on Ice, I knew I had to look into it, and that night I started researching and never stopped. 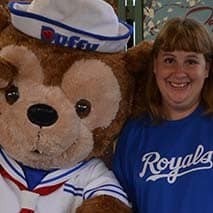 My name is Stephanie and I would love to be part of your vacation world! I have been married to my wonderful husband Dave for 7 magical years. We have a beautiful princess named Addison who is 3. 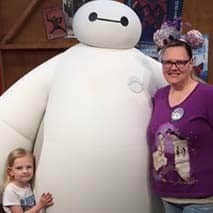 My husband and daughter didn’t stand a chance with my passion for travel and love for Disney; needless to say they have become Disney fanatics just like me! My name is Monica and I can show you the World, plus the Land and the (high) Seas, too! 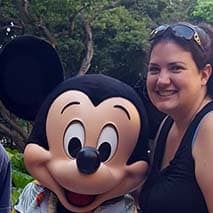 I am not only a graduate of The College of Disney Knowledge, but I also have 60+ Disney Destination visits under my belt; including Hong Kong Disneyland. Disney Destinations are magical and create countless precious memories for all who travel there. My goal, as a Travel Coordinator, is to remove the stress from you, as you allow me to book and plan your pixie dust sprinkled vacation. 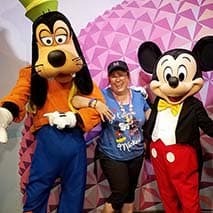 Hi, I’m Nikki – a self proclaimed “Disney Addict” and proud of it! My Disney obsession began with my very first trip to Walt Disney World… at 5 weeks old, way back in 1973. My sister was having her 5th birthday, and although I was a newborn, my parents packed us all up and off we went. It became a tradition for all of us to celebrate our 5th birthday. Then it became trips to celebrate other special occasions. Finally, it ended up being the place our entire family looked forward to visiting for any reason and as often as possible! Hi I’m Danielle and I love Disney! Born and raised on Long Island in New York, my Disney obsession began when I was 5. It was easy with yearly trips to Disney to get hooked. 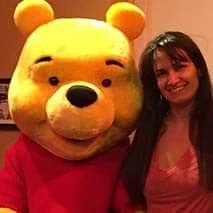 I have stayed in almost every hotel on Disney World property, as a kid, as a teenager, as a young adult, and as a parent. I even had the amazing opportunity of working for Disney! Best time of my life! I enjoyed helping guests at the Haunted Mansion, the River Boat, Pirates of the Caribbean, and even had a chance to work down below doing clerical work. 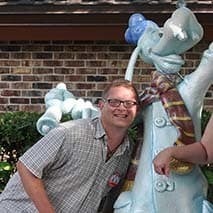 My name is Matthew and, I admit it: I am a Disney fanatic. My first trip to Disney World was when I was 4 years old and we stayed at the Polynesian Resort. 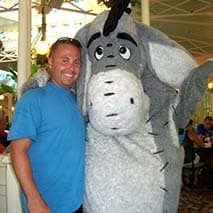 During a trip in 6th grade, I decided that I wanted to one day work at Disney World and in 1995, my dream came true. I was selected to join other students for the College Program, spending a summer at the Grand Floridian in Bell Services. Now, I have spread the fanaticism down to my children (much to my wife’s chagrin) and we are always on the look-out for the next opportunity to go to Disney World. Disney is truly magical to me for many reasons. It is a place I have vacationed each year since I was an infant and eventually the place where I met my very own prince. 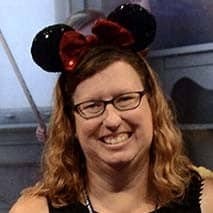 My husband and I are both former cast members with a combined total of 30 years experience working at the Walt Disney World Resort. Hi. I’m Paul. Let me be your Disney Vacation Planner. I am one of those persons who loves EVERYTHING DISNEY. It can be anything from Arial to Zip-A-Dee-Doo-Dah. I especially enjoy the Disney vacation experience. I first visited Walt Disney World in 1994 as a final vacation with my family before I moved out and went to college. We had a great time, but I didn’t understand the complexity and quality of the Disney product at the time. I love Disney!! Been to Disney 11 times and every time I go discover something new and exciting. First I enjoyed going as a child with my parents, then with my hubby as an adult. 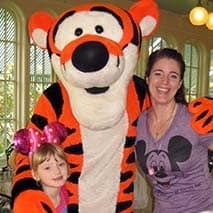 AND now i am having the best times ever at Disney- taking our daughter there! Already at 2 yrs old she loves Disney and had a blast when we took her in Nov 2010. Whenever a Disney commercial comes on tv she instantly says “Minnie”. The “MAGIC” is already in my toddler. Hi! My name is Patty! My whole life I have loved Disney. When I was a baby, my parents put a Small World Mobile up and ever since then I have had a passion for everything Disney. When I was little and people would ask what I wanted to do when I grow up, I would say, “I want to work at Disney World.” I had that opportunity my freshman year of college when I worked down at Disney World on the College Program. During that experience, I made lifelong friends and great memories. 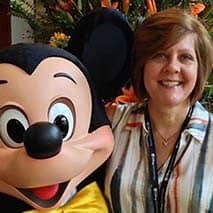 After leaving the College Program, I continued working for Disney at a local Disney Store and as a College Program Representative at Niagara University. If you were to ask me to describe why I love Disney vacations I would tell you that I truly can’t imagine another place where I feel like nothing in the world can go wrong. Disney’s level of customer service is unmatched and I always feel like I’m always their number one priority when I am there. This is the same feeling I want to share with you. I want you to relax knowing that I am here to find you a dream vacation. Hello! 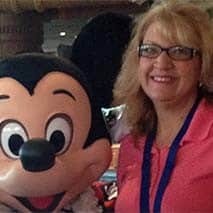 My name is Donna, and I would be happy to serve as your vacation specialist for Disney and beyond.My love for Disney began when I was a child and was lucky enough to travel to the Walt Disney World Resort every year on our family vacations. 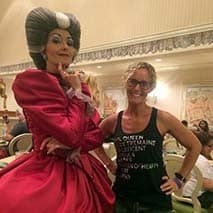 Through the course of my 25 trips to Disney World, two trips to Disneyland, and even one amazing trip to Disneyland Paris, I have had the opportunity to experience many aspects of Disney vacations. 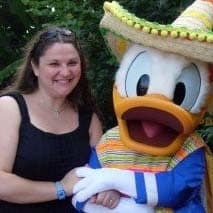 From traveling with a group of 20 high school students and four teachers on a modest budget to a luxurious eight day honeymoon in 2011, I have seen so much of what Disney has to offer their guests, and I would love to share that with you! I took my first trip to Disney World when I was 4 years old. I proudly clutched my 6? Mickey and Minnie plush (which I now collect) while i was being pushed around in my stroller, I cried on Mr. Toad and made my Mother sick on Dumbo and the teacups. When I was 16 I celebrated my birthday with my extended family in Disney World and it was pure magic. Hello…my name is Lynne Marie. I have two children, Kevin Age 23 and Kayla Age 8 who are my young prince and little princess. I am fortunate to have visited Disney World soon after it opened in 1971. I have been a huge fan and repeat visitor ever since. I was so inspired by Walt Disney that I dressed up as him for a 3rd Grade Oral Biography project. I couldn’t think of anyone else who touched the world and brought stories, fantasy and culture alive in as magical a way as he did. My first trip to Walt Disney World happened in 1979, when I was 11 years old. Since that first Magical trip, I have been 14 other times over the course of those 34 years, and have introduced to my wife Cindy and daughter Sophie a love of Disney that truly runs deep in our family. Sophie will be twelve this year, and she has already been to Walt Disney World nine times! This summer, we are taking our first trip to Disneyland, staying at our home DVC resort at the Grand Californian Resort & Spa! Hi! 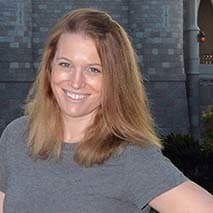 I’m Meghan, mother of three and Disney Vacation Planner. My first trip to Disney World was when I was four. It is my earliest childhood memory. Bringing my children to Disney World for the first time was beyond magical! We are all Disney-obsessed! May 8, 2008 my seven year old son won Disney’s Year of a Million Dreams and was picked to stay Cinderella Castle! This experience was beyond description. and it would be a pleasure for me to assist you in booking your Disney vacation! I’ve been a fan of Disney ever since my family traveled to Walt Disney World in Florida when I was just four years old. 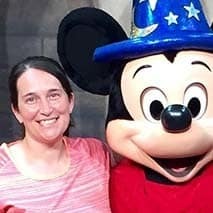 Unfortunately, my family never made it back to Walt Disney World again, so it wasn’t until 1995 that I was able to return with a friend from college. From the moment I stepped foot in the Magic Kingdom, it was like I had never left, and I was immediately hooked. I even jumped at the chance to go to law school in Florida so I could be closer to the theme parks! 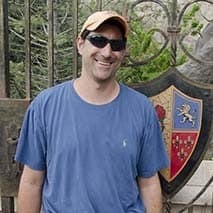 Hi I’m Kenny and I would love the opportunity to plan your Disney vacation. My first visit to Walt Disney World was in the 1970’s. 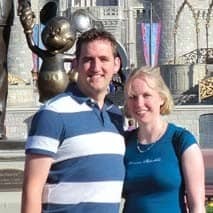 And while I have always been a fan of the Parks and the Disney Company, it was not until my wife and I made our first trip to Walt Disney World in 1999 while we were dating, that my true love and passion for Disney developed. We had so much fun our faces hurt from smiling! We returned the following year and were engaged in front of Cinderella’s Castle. Since that time we have made many trips and have indoctrinated our daughters into the Disney way of life. Hi, my name is Mike Yates. I have been to Walt Disney World as a teen, a honeymooner, as part of an inter-generational / multi-family excursion, and as a father. And other than the trip made as a teen, I have planned and booked all the trips myself. I have always enjoyed Disney, but it was really experiencing Walt Disney World through the eyes of my children that really got me hooked. At the end of Peter Pan’s Flight, my 5 year old daughter told the rest of the family that she thought that Daddy was having even more fun than she was. Our family has visited Disney Parks more than a dozen times, often traveling with friends and family. We know first hand the lasting memories created during a Disney vacation. Our Disney vacations have always exceeded our expectations. No matter how many times we visit, there is always something new and exciting to see and experience. 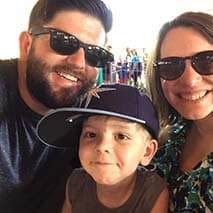 While most of our vacations have been to Walt Disney World, we did have the opportunity to share a special Disneyland vacation with close friends and extended family. 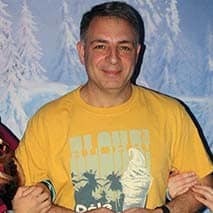 Born and raised in Rhode Island, I became a lifelong fan of Walt Disney World on my first visit in 1982 at age 4. The rest as they say is ‘history’, as a number of subsequent visits to the World only strengthened my desire to be there as often as possible! One of the most memorable of these visits was popping ‘the question’ to my then-future wife Courtney over the Sassagoula River at Port Orleans: Riverside in 2004. 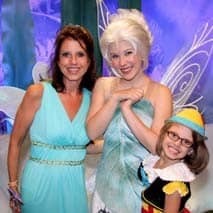 I am so excited to be a part of the Pixie family and help you plan your next Disney vacation! For me, the excitement of a Disney vacation begins with the journey. My first Disney experience occurred when I was 4 years old. My parents took me to Disney World and I came down with the Chicken Pox. I didn’t go back until I was 25 and married with a 3 year old son. After this trip I was hooked. Since that trip we have traveled to Disney World 15+ times, Disneyland, and been on a Disney Cruise! Hi! 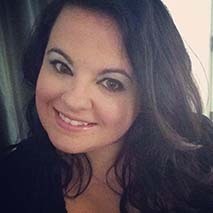 I’m Amanda and I’d love to help you plan a magical adventure! I’ve been a lover of all things Disney since I was a young girl. My first trip to Walt Disney World was in 1987. I quickly fell in love with the magic of the parks! 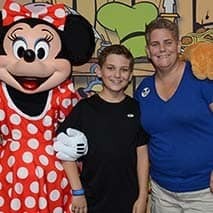 Since then, I’ve continued to travel often to Disney World, as well as taking Disney Cruises, with my husband and son. They’ve come to love Disney almost as much as I do. Hi, my name is Diana. adventure, and I was so excited when I got to take my son there when he was little. My Name is Mary Hales. I have always loved everything Disney. I collected the movies as a teenager and gained an interest and respect for Walt Disney himself when I researched and wrote a paper on him in High School. Everytime I go, it is pure magic. 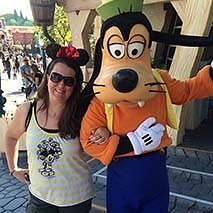 My love for Disney Travel and planning has lead me to being a Disney travel agent. 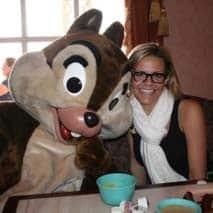 Hi, my name is Alicia von Kugelgen and I would be thrilled to help you plan your amazing Disney vacation! I have been a Disney fanatic since a very young age, beginning with frequent trips to Disneyland while visiting family in Southern CA. From there my parents decided that we should branch out and when I was about 11 began taking us every other year to WDW. My husband has been very patient with my obsession – even proposing on New Year’s Eve in front of Sleeping Beauty Castle! 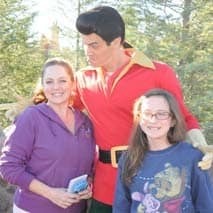 Twenty-one years later and I have tried to keep up the tradition of taking my two kids (14 and 10) to a Disney park every year. Hello, hello! I’m Emily. I would love for you to let me plan your next vacation! I have many special memories of going to Disney World with my family when I was a little girl. My love for Disney has only grown as I have gotten older and now have a family of my own to make new memories with. Disney has and always will have a special place in my heart. I have been a lifetime Disney fan, first going to Disneyland Resort when I was just two years old in beautiful Anaheim, California. I grew up going to ‘Land until I moved out to the Southeastern corner of the United States when I was 17. Hello! I am MaryIrene Corrigan and I’m excited to help you and your family plan your dream vacation. 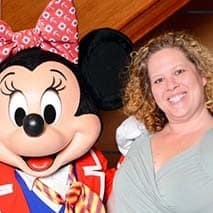 My passion is all things Disney – Walt Disney World, Disneyland, Aulani, and Disney Cruise Line. 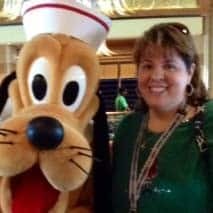 From my first visit to Walt Disney World in 1987, to a chance to walk in Walt’s footsteps at Disneyland, to splashing around with Goofy and friends at Aulani, I love it all! 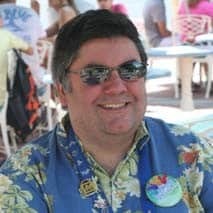 I am fortunate enough to have had the opportunity to visit Walt Disney World over 40 times, Disneyland and Aulani multiple times, and even journeyed to the Asian parks. 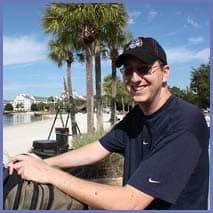 My name is Shawn and I would love to plan your next Disney adventure! 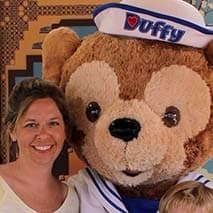 As a military spouse, I had my first Disney experience in Tokyo at the age of 30. Ever since that day, I’ve been hooked! 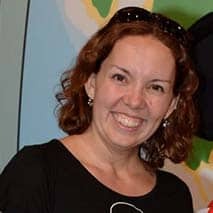 My wife and I have had the privilege of taking our 5 year old daughter to Walt Disney World, Tokyo Disneyland, and DisneySea over 12 times in the last 5 years. Each visit has given me new insight into the parks, process, and resorts that I am excited to pass along to you! 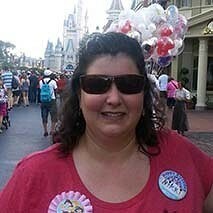 I am Nina and I have been a Disney addict since my very first visit to Walt Disney World in 1989! 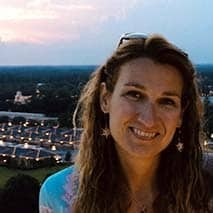 I am a wife and a mom of 3 active boys. We live in South Carolina and love that we can drive down to visit Walt Disney World often. “My name is Jessica. I live on the North Shore of Massachusetts with my husband, son, and daughter. I have always loved traveling and exploring new destinations. 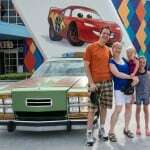 Whether you are traveling to Disney without kids, with the kids, pregnant, or solo. I’ve done it all. While Disney World and Disneyland are two of my favorite vacation destinations, I have a special place in my heart reserved for Hawaii. I made my first trip in 2007 for my honeymoon and have returned several times since. Traveling has been a lifelong passion for me and I am so excited to share it with you. Growing up in France, I would travel around Europe with my family during every school break and as I got older, I have been fortunate enough to travel many places around the globe. Today, I get to share this passion with my husband and teenage daughter; it’s truly amazing being able to discover new destinations together and getting to revisit others through their eyes. Some of our favorite places to travel are Disney Parks, Italy, Provence, Hawaii and the Virgin Islands.